Our high-performance, high-yielding vibration machine helps you achieve a healthier, stronger body by creating the best results in a short period of time. Vibration machines are great for improving sports performance, enhancing current fitness and wellness levels and can even help to accelerate recovery time from injuries. A 10 minute workout on the machine can help achieve a complete effective workout of your body as the machine stimulates the whole muscular system rather than one muscle at a time. 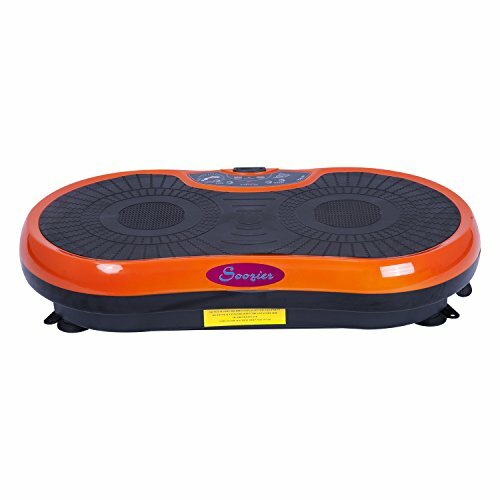 Sturdy construction made with durable ABS plastic, a steel base and a rubber coating on the plate offers a maximum weight capacity of 265 lbs. Get the ultimate whole body workout from Soozier today. - Pedal size: 25.98" x 12.99"